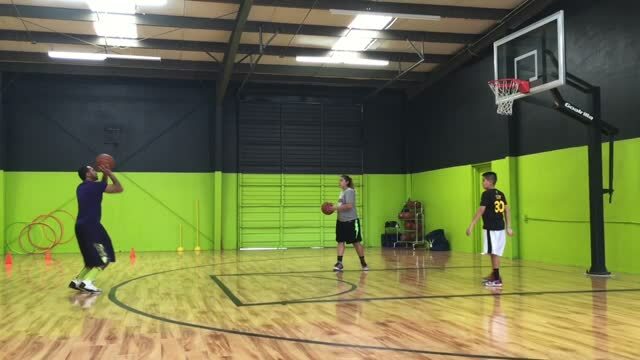 A Sacramento area self professed "gym rat" who loves Sacramento Area basketball and has a passion for teaching the game of basketball to area youth. Growing up in Sacramento and Elk Grove, he spent many, many hours in gyms all over the city developing his basketball skills during a period when training programs like DB's Elite Training were non-existent. Dennis played High School, College, and Semi-pro basketball. After his ups and downs of playing basketball Dennis continued to share his passion and love for the game by becoming a coach. He coached at Christian Brothers Highschool, Consumes Oaks Highschool, Sac Fury AAU, and now currently runs his own AAU program. Born and raised in Sacramento, California. Started playing basketball since she was 8 years old on a AAU team called the Sacramento Believers. They traveled to Tennessee, Florida, Texas, and Louisiana for nationals. She then went to Sutter Middle School where she played basketball and golf as well . Jackie enjoyed volunteering in basketball camps such as Basic Hoops and playing/coaching for SASF. In 2007, she attended Mcclatchy high and played varsity basketball and golf all 4 years . She currently holds the three point record at Mcclatchy with 9 threes in a game and 86 threes in a season. In 2011, she went to play basketball at American River College where she also holds a three point record with 11 out of 16 threes in a game. Now she is taking classes at Sacramento State, working with kids with autism, and coaching women's basketball at Consumnes Oaks High School. Jackie loves working with kids and helping them develop any skills whether it's educational or basketball related. > work ethic, and mental toughness.